Batman rises as an aging, somewhat crippled, emotionally damaged and broke recluse. 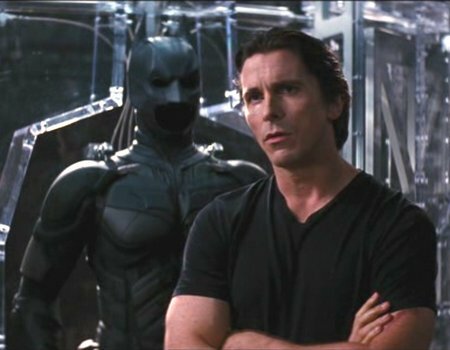 Not a typical Batman remake or sequel compared to the last few, as this one is darker in a more humanistic way, both sad and somewhat disturbing. Yet it still held my attention the entire 2 hours and 40 some minutes. Well made and interesting in it’s dark cruelty, it’s definitely not even close to my favourite Batman movie. Probably at the very bottom of the list. Yet it’s not a bad movie at all. It’s quite a good in fact, but in my opinion, a bad Batman movie. For me this story shouldn’t even be about Batman, but simply a sad tale of an aging and depressed fallen super hero. As it doesn’t embody the nature of the Batman character, but twists it into something new. Some people will like this contrast, and some will not appreciate it, as I didn’t. I would have enjoyed this movie far more had it been about some generic super hero with these issues. For me it damages the Batman franchise. This isn’t what I want to see in a super hero movie. At least not one I have fond memories of. But the story appears to be a set up for this Batman to retire and bring us a new younger version. So we shall see what happens next time, likely with a new director, writers and another off track storyline to switch things up. A day in the life of a young psychologically disturbed billionaire, as he meets a wide range of people he supposedly knows while driving through New York City on his way to a hair cut. It’s a poetic diatribe of nonsense, where all the characters talk like movie-style psycho serial killers. Who would enjoy this movie? Perhaps dark artistic types while stoned, finding it profound while under the influence. I’d expect the rest of us would not. Cosmopolis is a sick, strange, and disturbing waste of time, climaxing with a scene of self mutilation. It’s a David Cronenberg film, so for me, it’s not unlike other movies he’s been associated with. Another reboot of the origins of Spiderman. It’s no where as good at the version with Tobey Maguire in 2002. The special effects are well done. The action is okay. It does have some interesting alternate scenes compared to the 2002 version, but it has no heart, and lacks many things that makes a good movie. That includes the lead not having the charisma that’s needed to pull this off. 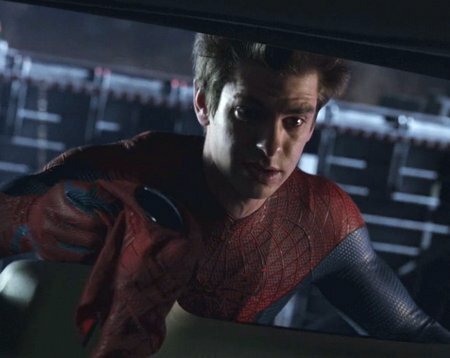 He doesn’t have the right look for Peter Parker, and isn’t a good enough actor for this part. And also didn’t feel the camera work on the live scenes was good enough for a big motion picture, which causes us to loose touch with the storey. I was somewhat disappointed. I would have preferred to see another sequel with Tobey Maguire as a slightly older Peter Parker, and showing us what Spiderman would be like more mature, wiser and perhaps as a darker character. I’ve been running CyanogenMod since I purchased my LG Optimus 2X (P990) phone earlier this year. In fact I bought it specifically so I could run CyanogenMod instead of the factory installed version of Android. I wanted to take advantage of the extra CM features. 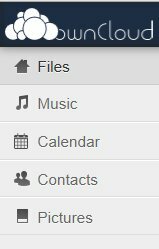 For the most part, CM7.x has done well for me. I usually run a nightly build, and put up with some small amount of stability issues and bugs, to be on the cutting edge of newness. CM7 is still based on the Android Gingerbread version with some tweaks. 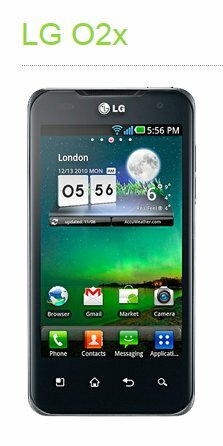 The Ice Cream sandwich version seems to have been jumped over for CM, I think due to LG not releasing a ICS version of the firmware for this model phone. LG finally released a Jelly Bean version (v.4.1.2) and CM started making a CM10 build for the P990. I’ve tried 3 of the nightly builds for CM10 on my phone, and it works rather poorly, as in buggy and most noticeably incredibly slooooooow! Slow to the point that there is no way to use it on a daily basis. It will work okay for moments, and then not only be sluggish, but every key press or swipe will take several seconds each to register, up to 5 seconds at times let’s say. And it’s inconsistent, works at a reasonable speed for several moments, and then very very slow for a while, and then a moment of normal speed again. Changing the “Governor” setting to “Performance” from “OnDemand” makes no difference. From what I’ve read in various forums, other people are experiencing the same types of issues with CM10 on various phones, not just the LG P990. Is CM10 not ready for prime-time, or am I having a rare bad experience for some unknown reason? If anyone reading this has a better experience than myself with CM10 on a LG Optimus 2X, I’d love to hear about it. Leave me a comment. Abe the Vampire Hunter, portrays Abraham Lincoln as a super human ninja like monster killer, that wields a silver tipped ax like a samurai sword. He kills vampires that can walk around in daylight so long as they wear shades and a touch of sun block. Who knew they had sun glasses and sun screen back then?! Now you know. It’s like a history lesson for U.S. patriots, all rolled up in one painful package. 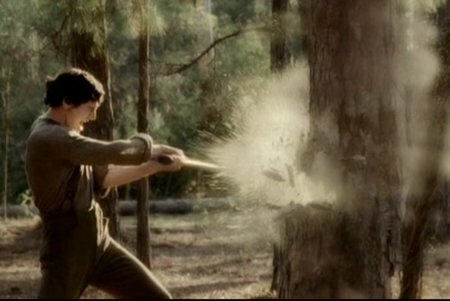 He can cut down a large tree with a single swing, simply cause he gets that darn angry. No other explanation for the super power, he’s just really pissed sometimes. There is absolutely no reason to watch this movie, not even for us vampire movie fans. Abe Vamp Hunter is a horrible, forgettable movie, far worse than I had imagined it would be.